With the reigning European champions set to go against the winners of the 2010 edition, group stage encounters cannot get any bigger than this. Imagine getting the chance to have your dessert before you are even properly done with the starters. Now that is precisely how the Friday night derby at the Fisht Olympic Stadium in Sochi feels like. The FIFA World Cup in Russia would barely be a day-old, when Portugal and Spain lock their horns to determine which one of the two Iberian rivals would proceed to the next round as the likely winner from Group B. With the reigning European champions set to go against the winners of the 2010 edition, group stage encounters cannot get any bigger than this. Historically though, Spain has always had the upper hand, with 18 victories, 12 draws and only six losses in 36 matches against Portugal. The last time these two neighbours met was in the semi-final of Euro 2012, where La Furia Roja advanced to the final following penalties. They later went on to lift the trophy by beating Italy in the final. 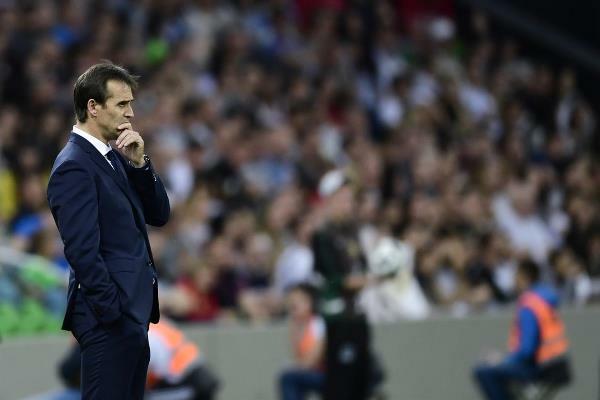 The odds were in Spain’s favour but the abrupt sacking of Coach Julen Lopetegui on the eve of the World Cup, could potentially throw a spanner in the works. Lopetegui was shockingly dismissed following the news of him becoming the new Real Madrid boss. The Spanish Football Federation (RFEF) claimed they were completely unaware of this particular development and had to sack the 51-year-old because the negotiation occurred “without any information to the RFEF”. Spain Sporting Director Fernando Hierro will now take charge for the World Cup. 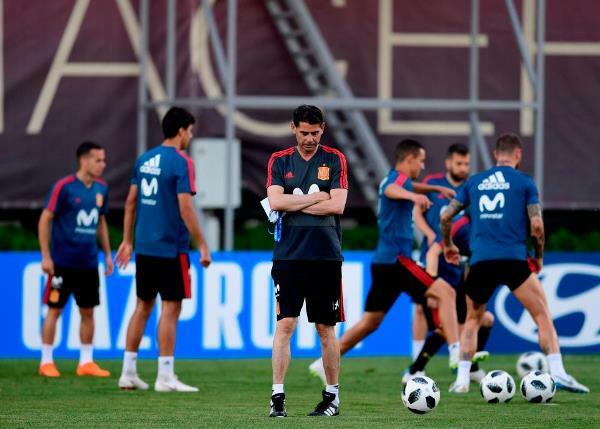 There were reports that the Spanish players were in favour of Lopetegui staying on for the duration of the tournament, so his dismissal after a hugely successful two-year period would surely leave Spain in a worse position than they were before this whole fiasco. With two European Cups and a World Cup, Vicente Del Bosque’s eight-year reign was the golden-era for Spanish football. Lopetegui with his impressive record as the national team coach was potentially on his way to emulate Del Bosque, but for now, he would only have to make do watching his former team perform under Hierro from afar. 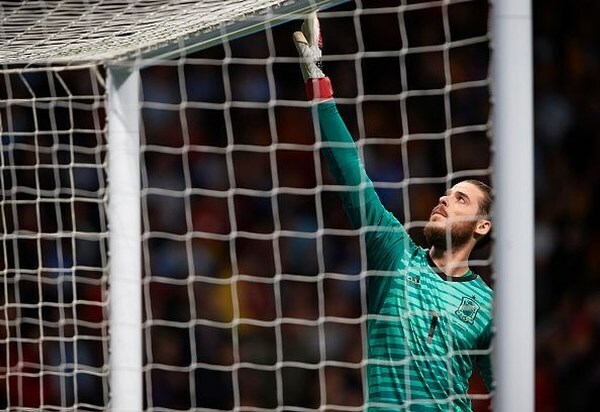 Heading into the tournament, the Spaniards won nine and drew one of the 10 qualifying games, while Portugal had to book their spot in Russia after narrowly avoiding the play-offs, when they edged out Switzerland on the final day. So Spain does have momentum on their side, but again with huge question marks over how quickly the new coach can have the squad firing on all cylinders. 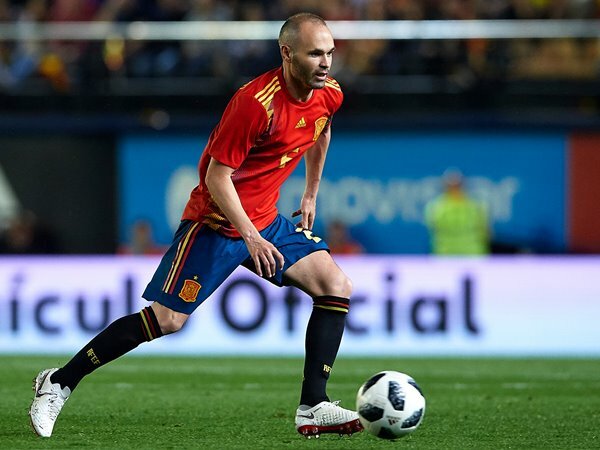 In terms of personnel, Spain is blessed with the majestic midfield of Andres Iniesta and David Silva, along with David De Gea, arguably the best goalkeeper in the world, between the sticks. Portugal, on the other hand, can boast the current World Player Of The Year, Cristiano Ronaldo, amongst its ranks. The Portuguese legend might be getting on in terms of age, but inside the box he is still as lethal as ever. This particular encounter is also significant for both Spain and Portugal since it could go a long way in banishing the memories of their collective exits from the last World Cup. Portugal were trashed 4-0 by Germany in their opening match before being eliminated from the group stages due to the worse goal difference to the United States, who finished second behind the Germans. Spain, on the hand, were caught up in a nightmare of their own. Their first game against the Netherlands ended in a 1-5 drubbing which was such a shock to their collective system that the defending world champions ended up exiting the tournament at the first hurdle. With Morocco and Iran forming the rest of the set, the winner from the first match between Portugal and Spain would surely emerge from the first round as Group B winner. The prize at stake is a round-of-16 tie against the runners-up from Group A, with likely opponents being either Russia or Egypt, two of the weakest teams in the tournament on paper. My prediction though is that it will be a 1-1 draw, which will keep things interesting till the last match for Group B. So with a mouth-watering clash to kick start the World Cup fever, let’s just sit back, relax and enjoy the whole ride.